Betta's Leongatha store has an extensive collection of kitchen appliances, audio equipment, furniture, bedding and fridges and freezes to offer a complete solution for your home. The local team at Hartley Wells Betta Home Living is there to assist when it comes time to purchase your next fridge, freezer, TV, kitchen or Laundry appliance. Hartley Wells Betta Home Living offers price match guarantee, delivery*, removal and installation. Perfect for renovating or moving into a new home. A Leongatha local since 1973, Darren Fox is the fourth generation in his family to own and operate the Hartley Wells Betta store. The Hartley Wells store proudly supports the local community and regularly sponsors sporting clubs of all types and levels, as well as donations to schools, churches, rotary clubs, and more. 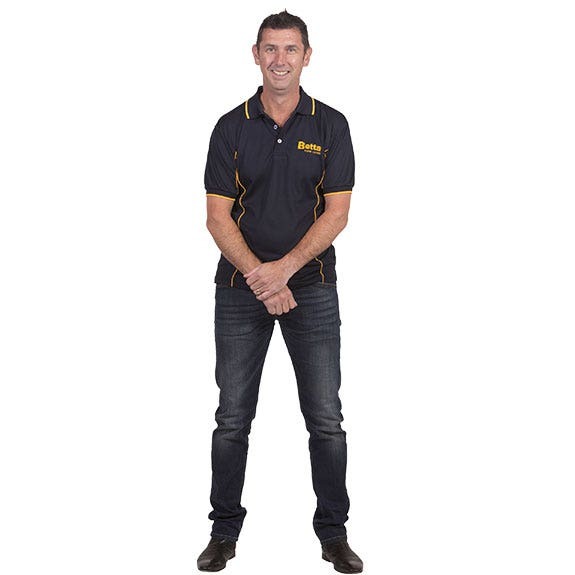 Darren plays for both the local basketball and football clubs, is a keen Carlton Blues supporter, and enjoys his cappuccinos with a double shot and two sugars. If you live in the following postcodes, Hartley Wells Betta Home Living offer door to door* delivery: 3821, 3823, 3824, 3835, 3870, 3871, 3950, 3951, 3953, 3954, 3956, 3988.